Replacement: in my hot little hands. Scanner: fired up. 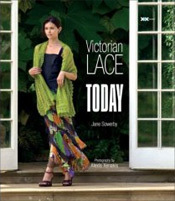 I hope you find my review of Victorian Lace Today by Jane Sowerby suffused with utmost excitement and delight. Truth be told, I had very high expectations for this book, and pre-ordered it from Amazon as soon as I got wind of it, sight unseen. I feel that I have not been let down – not since Norah Gaughan’s Knitting Nature have I been so impressed with a pattern book. This very sizeable tome features scarves and shawls from the Victorian Era (1830s – 1900s), a period during which women started to knit by choice rather than necessity. As a result, availability of printed patterns, knitting needles, and yarn blossomed, enabling Victorian Lace Today to exist in the present. In addition to containing 38 patterns (you heard me! 38! ), the book is slathered with gorgeous photographs, often portraying the same project from a variety of angles or knit up in different yarns. 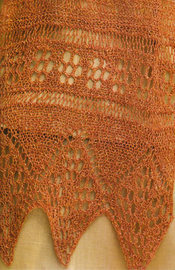 If that wasn’t enough, there are historical notes about each of the pattern sources, and even a section about lace techniques – special cast-ons, bind-offs, understanding charts, attaching borders, blocking. I’m not done! Last, but certainly not least, there’s a basic primer on lace design – how charts come together to make a knitted piece, how to mix and match design elements from different patterns, and how to go about planning a shawl design from scratch. The reason I’m embracing Victorian Lace Today so much more wholeheartedly than, say, Shawls and Scarves by the same publisher, is because it contains so many rectangular stoles and scarves; 26, to be exact (whoa wee!). Maybe it’s just me, but I’m much more drawn to scarves than to triangular shawls. A part of me thinks that perhaps they are more practical, at least for me. I’ve always felt that the variety of rectangular lace patterns out there is somewhat limited. 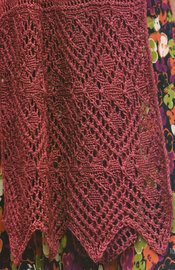 That if I wanted to knit another triangular and circular shawl, I’d have no problems finding and selecting a gorgeous pattern, but I’d have to dig deeper to find a truly unique and challenging pattern for a lace rectangle. My search has ended with this book – there are enough unique and interesting rectangles here to keep me entertained for life. I’m particularly excited about the number of scarves with wide borders on only two sides – quick to knit and immediately wearable. There are certainly exquisite triangular and circular shawl patterns in the book, but I feel that they aren’t the focus here. Please find a preview of some of the patterns in the extended entry; make sure to click on the thumbnail to see a bigger picture. Last… did someone say nupps?!? And this melon stitch is just a nupp parading in camouflage, if you ask me :). I have mine on order. The patterns look fabulous. Thanks for such a great review! 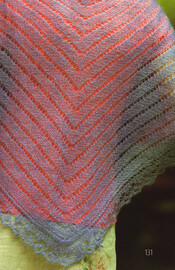 Have you knit the rectangular Baltic Sea Stole from Fiber Trends? It’s on my must knit list. I just bought this today and was getting ready to post a review on my blog! I have to say, I agree with you. This book makes me simply weak in the knees with all the lace in there. Funny thing, you like it for the rectangle lace, I like it for the big square ones. I’ll be busy sorting my lace-weight stash if you need me. Wow, it’s gorgeous. I’m going to have to get that book ASAP and knit me some lace. Oh Jeez. I just posted about nupps. (Er, or will have posted in the morning…) I have nothing against nupps but I think the book should probably come with a pair of specially-pointed, nupps-purling needles! My friend won this book as a door prize at Stitches, so I perused over the weekend – I am in love. And now I covet it. Oooh, pretty. Oh holy gracious YUM, batman! I sense an upcoming holiday request to the husband! I am amazed by the tasteful and delicious looking colors, too. It’s like going to the ice cream store when I was a kid. 31 flavors/shawls! Oh. My. This confirms that I’m going to have to start knitting lace. That book is officially on my wish list. A friend just picked this up at Stitches East and raved about it. I’m going to have to take a serious look at this book! And I so agree with you about the rectangular shawls. I’m not a fan of the triangles, too much, because, I think they’re just a giant arrow pointing to you-know-where. And if you-know-where isn’t particularly attractive (as in my case), why call attention to it? Thanks for the review! Oh my! I definately want that book now. I, too, love rectangular stoles which seem more practical but the triangular ones that you’ve posted look so gorgeous! thank you for sharing these. i agree with you…rectangular shawls/stoles just seem to work so much better for me. i ordered this book yesterday…just on the positive stories i was hearing about it. and i have absolutely no regrets at all now! i wish it would hurry up and get here! I have fallen in deepest laciest love. I must have it. However, the closest I will come to acquiring it this month is offering it pride of plac eon my Amazon wishlist. I love coming home on a cold rainy night to find a card through my letterbox and a nice big brown box of booky goodness hiding in my shed. thanks for the review, here in australia the book isn’t available yet and when it gets here will cost around $70 australian. 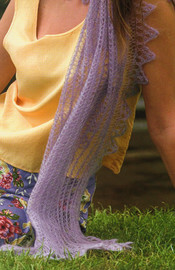 It looks great and as a lace knitter who likes to knit vintage patterns this will be great. I have read a lot of books over the last year and have tried to develop my own patterns, all I can see is that this book will be very useful. Oh those pictures are just gorgeous. I’ve only knitted Kiri to date but am seriously thinking it’s time to take the plunge and this sounds like just the book to do it with. Thanks for taking the time to write up the review. Thank you! I’ve been wondering about this book. Off to order…. i agree wholeheartedly. i was feeling differently than you though, and purposely *didn’t* pre-order it. i felt with the Knitter’s name it was 50/50. when i was at my LYS this weekend i took a look and immediately bought it. each night i’ve been thumbing through the pages, trying to decide what i’ll try first. this is one book purchase that i’ll use for years to come. I saw a preview of this book a few months back and knew I’d want it. I think some of the shawls (like the claret one on the right hand side in your pics), is a half circle rather than triangular. I already have the Merino lace in the same color ready and waiting! If only the book would arrive. Darn that Amazon free shipping that takes forever. I ordered mine as soon as I read your previous post 😉 Can’t wait for it to come! That book has some gorgeous stuff in it; are you going to leave Mountainash languishing still? Do you think this is a good book for a beginning lace knitter? I’m interested in trying lace, but feel a little intimidated by it. Thanks for the review. I’m spinning to knit a rectangular shawl, and I wanted to design my own pattern as it’s for a special event. This book sounds like just the guidance I will need. woah spam comments! crazy! anyway, my LYS has that book and the one 2nd row in the middle is the one I cannot get my mind off of! Great review! I’m so glad that someone I’m reading reviewed this book. I have been attempting to design a lace shawl and gathering resources. 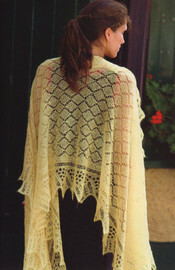 I was surprised to find only a handful or what I consider “good” lace shawl books out there. Now I can’t wait to get this. When I first noticed that you were planning on scanning stuff from the book, my first thought was “copyright issues.” However, just seeing the pictures has put this book at the top of my wish list. Given your high traffic, you are certainly doing the author and publisher a good turn. You really do have impeccable taste. Thanks for posting your review! Like you, I have little to no use for triangular shawls. I love the rectangular stoles that I can wear in the daytime or evening. This is SO going on my Christmas list now! So… which one you gonna make first? I’m off to add this to my xmas list. Well said! I got my copy this week, too. 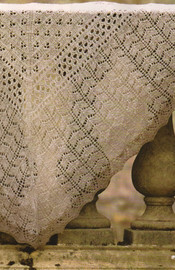 It is a wonderful book and exploration of Victorian Lace. My fingers are itching to start a new lace project. THANK YOU!!!!!!! I thought I wanted this book – but I think I actually felt my heart stop and heard all the blood rushing around in my head when I saw the pictures….’kay, Amazon time!! I actually almost spit tea on my keyboard. Those are gorgeous! Thanks for sharing the pictures! I wasn’t sure that I needed another knitting book, but this looks like a must have. 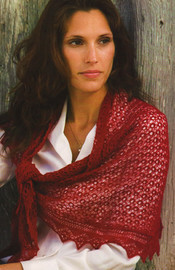 It really is difficult finding good rectangular stole/shawl patterns, but I see about 3 must-knits here. Yay! Any thoughts on what your first lace project from the book will be? OMG. I am waiting for mine to come in the mail. I pre-ordered but it takes forever to get to Canada. I can’t wait for my copy to arrive. I should receive it any day now. Thanks for the peek. want it so bad. I hope I get it. So pretty! I’m not the world’s biggest lace-knitting fan, but some of these patterns may just be enough to convert me. Thanks for sharing! Thank you SO MUCH for posting this review. I had this book on my Christmas wish list, but now it has moved to the top of the list! I will be interested to see your finished projects from this book. Thanks for the informative write up on this book. Sounds like something I would really to have in the library. Thanks for the review and all the pics. I’ll have to put this on the list! I like much of what I see, but I’m skeptical. I still remember the pain of Gathering of Errors, er, Lace… before I plunk down my credit card, I want to know if this book was better edited than that one was. Wow, thanks for sharing that. The patterns are gorgeous – definitely a must-have book for the knitting library. Thank you for this great preview! I’m excited to hear that the stole shape is strongly represented in the book. Yeaahhh … that book is fantastic! I got mine couple of days ago and I love it! I so appreciate your review. I do love triangular shawls quite a lot, but many of these scarves are so stylish, that I think I could wear those with any outfit and feel very chic. Thanks for posting some of the pictures. From seeing the preview in an earlier issue of Knitters, I was pretty sure that I would like it, but seeing your pics has definitely confirmed it. Freaky! For the last two days I spent my lunch hour at my LBS to look through that book. I love that huge round red shawl. Very nice! I particularly like the white one in the second row that is hanging over a chair. Wow. Those are gorgeous. I’ve been itching to buy laceweight this week. I wondered why since I have never knit lace. Now I know. Off to add this book to my wishlist. Wheee! Time for me to take this off the Amazon Wishlist and into the Shopping Cart! Gorgeous book! I saw it at the LYS yesterday and drooled over it. I need to order it. I’m very excited about the rectangular patterns – and so many yummy ones too. I have a triangle shawl, but I think a rectangle is more practical for me as well. Kathy, Thank you so much for highlighting this book. I had skimmed over the info on amazon and not been really excited, but your review tells me exactly what I need to know – I’m getting it. Thanks for all the great photos, too. These are pretty essential to knowing whether a book is right for you are not. Like you, I much prefer a rectangular stole, so this is right up my alley. Now I want to have that book too. I love rectangular shawls. More practical to wear under a parka on rare days out. I couldn’t agree more about rectangular shawls being harder to find. Fantastic review, thanks so much, I’m sold. Kathy, thanks for reviewing this book. Like you, I’m much more drawn to rectangular stoles rather than triangle wraps. The triangles just seem to scream “Grandma” to me, I’m probably not being fair… There is a great rectangular stole in A gathering of lace – the Shetland Sampler – that I made a few years back. But you’re right, rectangular stoles seem rarer in the pattern world. Don’t know why. Oh, fine – now I really have to get that book – thank goodness Christmas is coming up and my family will pony up the dollars for it! 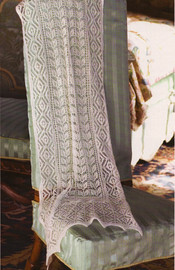 I saw a review in one of the knitting mags and decided then and there I must have it. Now I know for sure – it will be on the top of my list! Happy knitting! And thanks for being my enabler! Got mine–ordered it from the local independent bookstore, came in 3 days. Love love love it. And, I have quite a nice little stash of KSH with which to start swatching. It’s going to be a lacy winter here! wowza, those are some beautiful patterns! 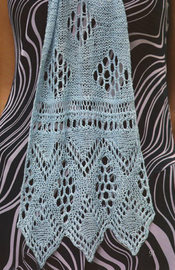 I am not usually a lace knitter (though I am trying) but this is swaying me…thanks for the GREAT review! I completely agree–it is a fabulous book. I was lucky enough to see the samples and they are as great in person. 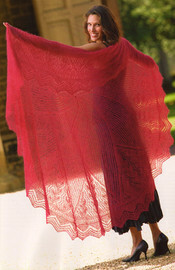 I am usually more drawn to the rectangular shawls but even the triangular ones are great. 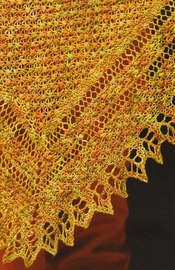 Plus, who wouldn’t want to try the hexagonal (or even half-hex) shawl? Can’t wait to see which one you decide to do first. I’m so glad you’ve done a review of this. 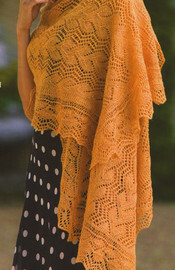 I was worried there would be more triangular shawl patterns than rectangular. Thankfully not and I ordered this last night… I’m really looking forward to it turning up now!! Couldn’t help but de-lurk here. I saw this book a couple weeks ago and it made me weak in the knees! I don’t do triangular shawls either (too grandma for me) and I’m SO glad this book has so many rectangular options. 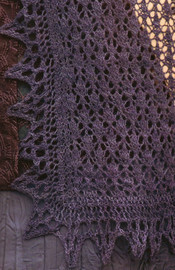 I can’t wait to do a lace scarf for da cold Wisconsin winter! Also not a lace knitter (guarding against expanding the project queue and stash) but when I saw your review, I thought hmmmm. So off I went to the phone on Thursday to order the book from KnitPicks. The lady there was very puzzled. “We’ve had a run on that title today, and the books are all gone, sorry.” Oh, the power of viral marketing via blog! wow! *adds to wishlist* a friend on mine might be getting married in the not-too-distant future, so i’m secretly planning a wedding shawl of some sort for her. this looks like the perfect book to figure something out. I love books with information on technique. I bought Big Girl Knits eventhough I didn’t like any of the pattern because there was so much information on altering a pattern and how to get a good fit for your body. Interesting, that orange stole (3 down) looks a lot like Eunny’s Print O’ The Wave. I’ve added a least half a dozen shawls from this book to my to-do list and I’m already halfway done with the Hexagon Spider’s Web Shawl. (It has to be done for a holiday part.) 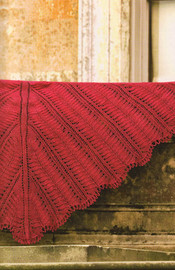 It is an excellent book and while I do like triangular shawls, I don’t have enough huge rectangular ones. I’m just… drooling. What to knit first?? I went to my LYS and browsed this book today and I MUST HAVE IT! I don’t even like knitting lace (so far). But these projects are just beautiful and I really want to read the text as well. Now it’s on my Barnes & Noble wish list…if anyone ever looks there! I bought this book with my anniversay gift certificate and haven’t been able to put it down – it is gorgeous. I have started the red curved shawl (#9 in your pictures). 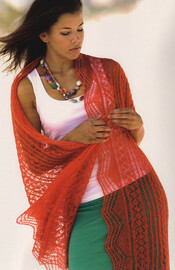 I want to knit almost everything in it except the red circular shawl that my knitting group called the funeral shroud ’cause by the time anyone finished – it would be time to bury you in. What I want to know is, are those leaves in the doorway behind her real or photoshopped, and if they are real, what kind of terrifyingly huge plant produces leaves that enormous? This book looks gorgeous! Thank you for the review. 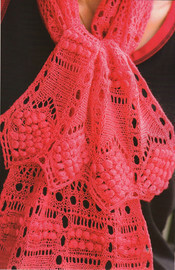 I saw the author and a mini fashion show of these shawls at Stitches East. They are all as breathtaking in person as they are in the book. I managed to get Jane Sowerby’s autograph as well. I am beyond excited about knitting something this book! I also agree with the fact that good rectangular shawls patterns are harder to find. This book saves the day! I agree–this one is definitely a keeper! Thank you for observing the generous number of rectangular scarf/shawl patterns. That has increased my interest in this book significantly. I got my book yesterday, and I SO agree with you. The patterns are extraordinary! why does one person hate knitters mag? i do too……..but i would love hear why someone else does……i hated them when i was a weaver..they are very very arrogant..
Just wanted to let you know that the publisher should be giving you a commision. At the yarn store this weekend, I specifically looked at this book because you had recommended it (the name probably wouldn’t have caused me to otherwise since we had limited time). It only took a few seconds of looking before I had to have it! 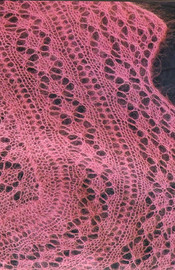 I also love _Victorian Lace Today_, but I took _Knitting Nature_ out of the library and I’m glad I didn’t buy it. I thought most of the designs were just plain weird – especially the ones inspired by the conch shell. I am, however, having to restrain myself from casting on for some of the shawls in VLT.